A school bus was involved in an accident while on its way to school in Land O’ Lakes. No injuries were reported, according to the Pasco County Sheriff’s Office. According to school officials, the bus was transporting 11 students to Oakstead Elementary School at 9:30 a.m. when it was involved in the crash. 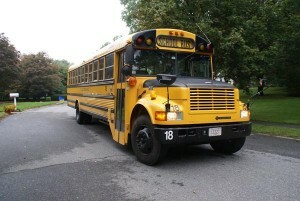 Another bus was sent to finish the bus route and pick up any students who were waiting to be taken to school. According to officials, the bus involved in the crash was able to continue on to school with the students once it was released by the Pasco County Sheriff’s Office. Millions of students ride school buses every single school day, leaving millions of parents to trust that their children will arrive at their destinations safely. They trust that the bus driver transporting their child is appropriately licensed and trained and that the bus is in satisfactory working condition. But as we all know, mistakes happen, and sometimes these mistakes result in serious school bus accidents. At Whittel & Melton, our Pasco County Injury Lawyers represent the families of students who were injured or killed in school bus accidents. In school bus accident claims, our top priority is to obtain fair compensation for your damages as well protect other children from suffering a similar harm. That is why we conduct extensive investigations into the accident sites and rely on the help of experts to determine who caused the accident and why so that all negligent parties can be held legally liable. If you or a family member was injured in a school bus accident, please contact a Pasco County Injury Attorney at Whittel & Melton as soon as possible to arrange a free consultation and case evaluation. You can call us anytime, day or night at 727-847-2299 or contact us online.